This is not in Singapore, does not mean will not happen here. 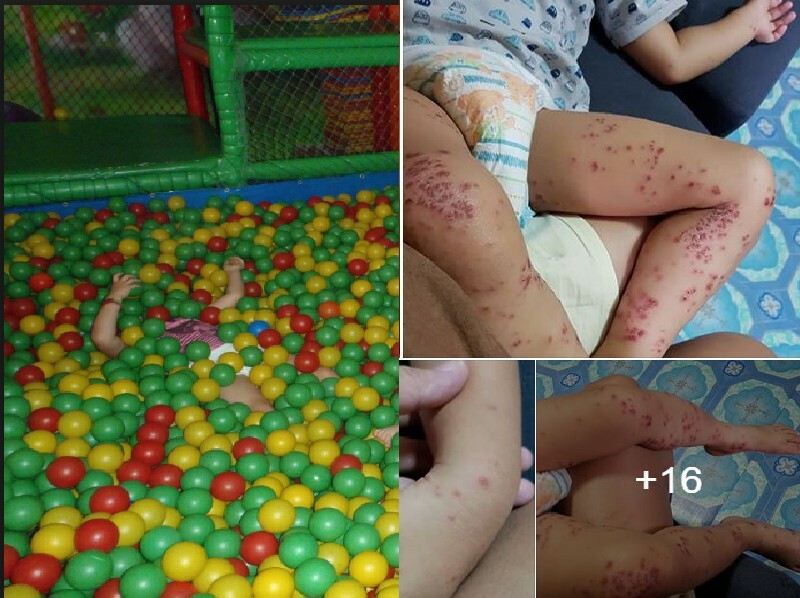 .A mother warns of ball pits and fun houses in shopping malls after her child was infected with hand foot & mouth disease after visiting a ball pit in her local shopping mall. HFMD can be deadly but be treated early. It normally starts out as a fever, but typically after a day or two. Pumps, spots, and rashes will start to grow and may even blister on the hands, feet, and mouth. Area of infection can also occur in other areas like on the buttocks and groin. Please bring your child to the doctor immediately if you suspect that your child is infected. Next Article GUY WANT ACT GANGSTER!!! CLAIM DRIVER WANT KNOCK HIM DOWN!